Southwest and United fly into Harlingen (20 miles west of Kingfisher), United flies into Brownsville (35 miles south), and United and American fly into McAllen (60 miles west). Harlingen usually has the cheapest and most available flights. However, You should know this: If you try to book a Southwest flight to Harlingen, you may be told, "We don't have service from (your city) to Harlingen." If you stop there, you might never find out that Southwest flies into Harlingen. For some reason, you have to book a flight into Houston, and then book a flight from Houston to Harlingen, but you can't book a flight directly to Harlingen. Strange, right? We've tried to get Southwest to change the way they respond to this question, but they're still doing it. Don't forget that you will need a fishing license! Call the following phone number to order one ahead of time. Hours of operation are 9:00 a.m. to 8:00 p.m., Monday through Friday and 9:00 a.m. to noon, Saturday (Central Standard Time). Administration fee is $5.00 for all phone sales. turkey and oversized Red Drum). For more information about licenses, go to https://www.txfgsales.com. Regardless of the fly rod and reel that you use, there is something that you need to know: You need to work on distant casting before you come. 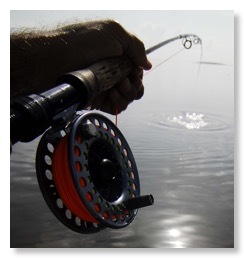 If you cannot cast 50 feet with ease, then get a book or a good video and lengthen your cast before you come down. That way, you'll have a much better chance at doing well your first trip down here. We have gear that you can use, free of charge. But if you bring your own, you need a high-quality six, seven, or eight-weight rod. You don't need a $600 reel, but be sure it's saltwater resistant and has a decent drag system. If you're coming between April and November, you need a warm water, weight-forward floating line, like the Cortland Lazer Tropic Plus or the Scientific Angler's Bonefish Taper. Cold water lines tend to kink up in the heat, so get one of these stiff lines before you come. We have found that the Teeny Saltwater fluorescent orange line is a great all-around line, and handles well in all seasons. If you are coming between November and the end of March, you'd be better off with a standard cold water line. If you're going to tie your own flies, or purchase them your own at your local fly shop, follow these guidelines: As a rule, go small (size 4 and 6) and weedless. In addition to our Capt. Scott's signature flies, which take care of 90% of your fly needs, make sure you have a bunch of size 4-6 chartreuse-and-white and tan-and-white Clousers. We use them on the east side sand, and when the reds are podding on the west side in the spring and fall. 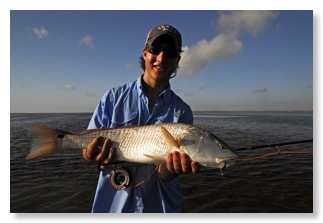 The Kingfisher Spoon is a great all-around pattern for the west side of the Laguna Madre. 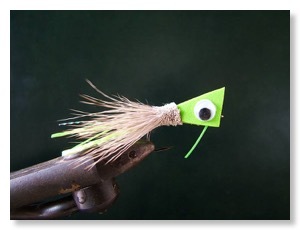 Also check out the Mother's Day Fly, which is our favorite subsurface fly for low-water, grassy conditions in the summer. Presentation is 90% of the game, so the aerodynamic and aquadynamics of the flies are more important that what they look like. For topwater applications: Small foam head poppers or deer hair floaters are especially effective in early morning, calm conditions. Capt. Scott's VIP popper is the best topwater fly that we've found. The extra noise will draw fish from as far as 10 feet away in low-light conditions. Once again, go small! 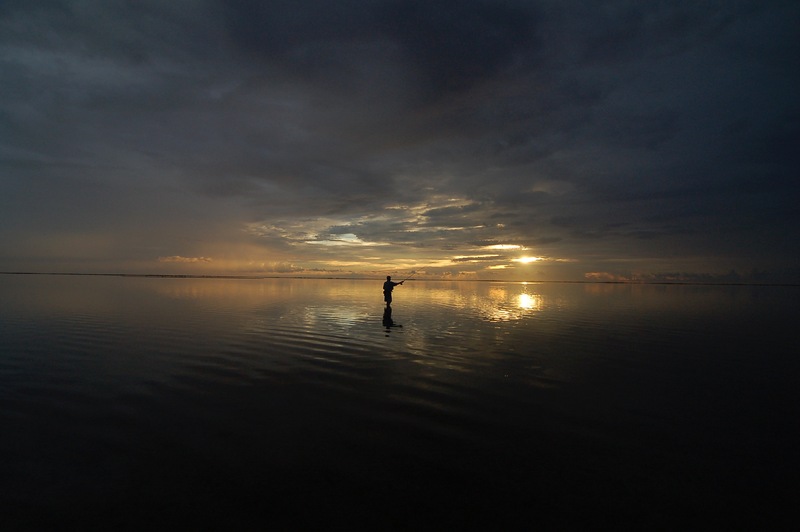 Leaders: You'll need a standard 9' bonefish or redfish leader with a 12- to 16-lb. tippet. Even experts often break off reds and trout using lighter tippets, so don't go lighter than 12 lb. tippet. If you do, you might not land a fish on your first trip! Clothing--Spring through fall: Get a Buff or an up-downer-type hat with a clip in the back for attaching it to your shirt. We are close to the Tropic of Cancer, and the sun can burn you very quickly. It is not usually not that hot on the flats, but when the wind dies, it can get pretty steamy, so get long-sleeved Supplex shirts if you can. Cotton tends to be too hot. If you're going to wear shorts, fine, but be sure to bring water-resistant sunscreen, like Bullfrog. Clothing--Winter: You a need fleece pullover, and some fleece pants. You will probably shed them before midday, but they can make that early morning boat ride more comfortable. Normally, it's warmer once we reach the bay. Also, you need some lightweight waders (not neoprene, because it's too hot). Again, you might elect to wade wet once the sun rises, because the air temperature can easily reach 80 degrees. But the water temperature is usually from 55-65 through the winter, which is a bit cool for wet wading. Eyewear: High-quality polarized glasses, preferably with brown, copper or vermillion-tinted lenses. Avoid gray lenses. The most important variable in your ability to catch fish in the clear waters of the Lower Laguna Madre, other than casting, is your ability to see the fish! 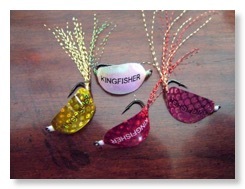 Most people cannot see fish very well at first, and so top-quality eye gear is a must. If you wear prescription glasses, consider purchasing prescription polarized sunglasses, or "Fitover" or "Coccoon" sunglasses that fit completely over your glasses. They are at least as effective as regular prescription polarized glasses, because they completely cut the side glare! For inexpensive prescription polarized glasses, check out Zenni Optical online. Also, it's very hard to see tailing fish early in the morning with your sunglasses on. If you wear prescription glasses, it's important to bring glasses with clear lenses, too. Most people put their polarized glasses on too early, having left their clear glasses at home or back at the Inn. Consequently, they cannot see the subtle signs of tailing and cruising fish in the twilight. Other gear: A good wading pouch (go small and light!) for your gear is important, as we may find ourselves hundreds of yards from the boat when we wade. A water-resistant digital camera is great to have along. However, we take photos during your visit, and will give you the best photos that we've taken during your stay.